Stockholm, Sweden is a popular tourist destination especially during the summer months. 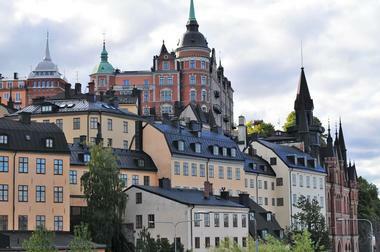 Schools have breaks and many families travel to Stockholm to see its attractions and enjoy its many events. The summer is the warmest time of the year and hotels take advantage of this by raising their room rates. Despite the crowds and the room rates, summer is still the best time to visit Stockholm not just because of the warm weather but also because daylight lasts up to 24 hours. Spring and fall are great times to visit also - the weather is chillier but the crowds and room rates decrease. Winter is a good time if you enjoy cold weather, winter sports, and pretty Christmas decorations. January is one Stockholm’s two coldest months as the average high and average low temperatures measure in at 30°F (-1°C) and 23°F (-5°C) respectively. Expect very little daylight all throughout the winter season as the average sunshine per day barely reaches 2 hours. In February the average high and average low temperatures stay hold steady at 30°F (-1°C) and 23°F (-5°C) thus tying with January as the coldest month of the year. March receives the lowest precipitation average of the year with just 26 mm of rainfall to be expected. Meanwhile, the average temperatures rise with the arrival of spring. High temperatures average at 37°F (3°C) while low temperatures average at 27°F (-3°C). Stockholm Weather in April: Visitors can expect 8 hours of sunshine per day in April as spring goes into full swing. Days are also warmer with the average high temperature rising to 48°F (9°C). Low temperatures average at 34°F (1°C). In May the average high and average low temperatures ranges between 61°F (16°C) and 43°F (6°C) making way for the warmer weather of the approaching summer season. June marks the beginning of summer and brings with it an average of 12 hours of sunshine per day. This is the month with the most sunshine in the year and is matched by an average high temperature of 70°F (21°C). Low temperature is at 52°F (11°C). Stockholm Weather in July: The warmest month for Stockholm annually is July which sees an average high temperature of 72°F (22°C). It also receives the most rainfall in the year with an average precipitation rate of 72 mm. The low temperature average is 55°F (13°C). In August the climate starts to cool as the last of the summer months arrives. The average high temperature decreases by a few degrees to 68°F (20°C) while the average low temperature remains the same at 55°F (13°C). September sees temperatures decrease further to average high and average low temperatures of 59°F (15°C) and 48°F (9°C). The average rainfall for the month of September hovers at 55 mm. Stockholm Weather in October: Autumn arrives in October along with chillier temperatures. The average high temperature drops to 50°F (10°C) and the average low temperature also sees a big decrease falling to 41°F (5°C). November receives about 53 mm of rainfall for the month. As the last month of autumn, temperatures sink even further as the high temperature average makes a big drop to 39°F (4°C). The average low temperature goes down to 34°F (1°C). In December, days are dark as Stockholm only receives 2 hours of sunlight per day. The average high temperature and average low temperature drop to 34°F (1°C) and 27°F (-3°C) respectively. Arguably the best time to visit Stockholm is during the summer months of June through August. This is the time where the sun shines the longest and many tourist draws take place such as the Midsummer Festival, the Summer Games and Stockholm Pride. Local attractions also extend their hours during this time. For the best bargains and prices, the ultimate time to visit is December through February when winter sets in. Winter activities are also the best during this time with December as the peak winter month to visit. There are several ways to get to Stockholm. If you arrive by airplane, you will fly into the Stockholm Arlanda Airport which is located about 28 miles north of the city. 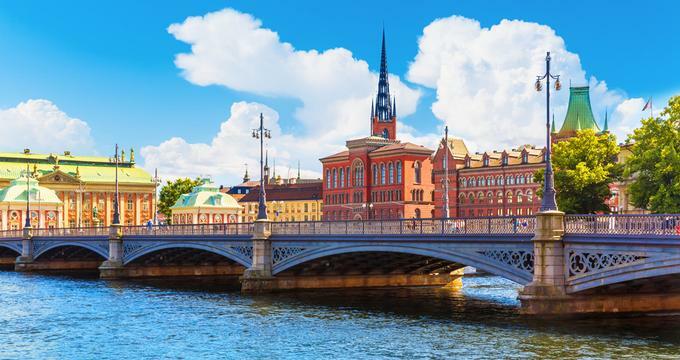 Train travel in Europe is a great way to get around: trains arrive frequently from other European cities at Stockholm’s Centralstationen, or Central Station, conveniently located in the middle of the city. Arriving by car is easy because two major highways meet in Stockholm: E4 from the south and E3 from the west. Large ferry lines such as the Silja Line and the Viking Line arrive in Stockholm from several major cities such as Helsinki. The best way to get into the city from the Stockholm Arlanda Airport is to take the Arlanda Express Train: it is a very convenient and affordable way to get to the city. You will find this train below the arrival terminals at the airport. Trains leave every 15 minutes and it takes just 20 minutes to travel the 28 miles from the airport into the center of Stockholm. 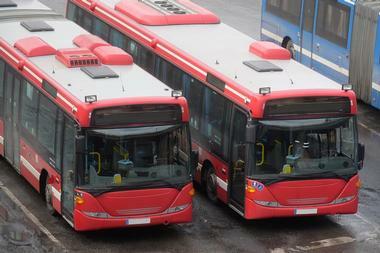 There are buses called Flygbussarna Airport Coaches: these buses leave the airport every 10 to 15 minutes and arrive at the City Terminal next to the Central Station within 35 to 45 minutes. Commuter trains called SL also run from the airport into the city. In addition to the public transportation system, there are several other ways to get around in Stockholm. 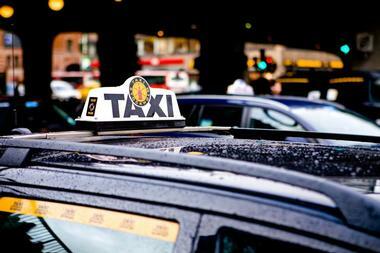 Taxis are available but they are expensive: in fact, Stockholm taxi fares are the highest in the world. Only use a taxi if you absolutely need to. 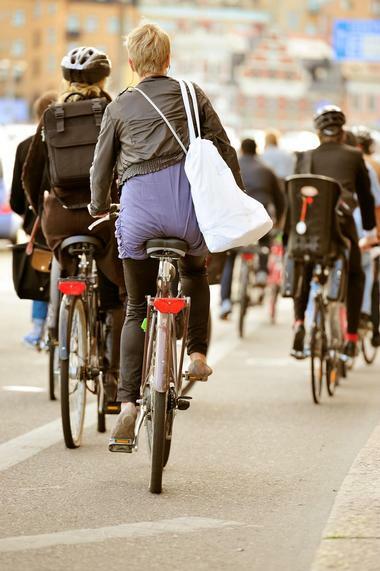 Using a bike is a popular way to get around Stockholm during nice weather: the city has many bike lanes so you can cross Stockholm in 30 minutes. You can travel by ferry to some of the main areas of Stockholm: this is a fun way to get around in the summer. Using a car is difficult because streets are often narrow and parking is scarce. The central area is easy to get around on foot. 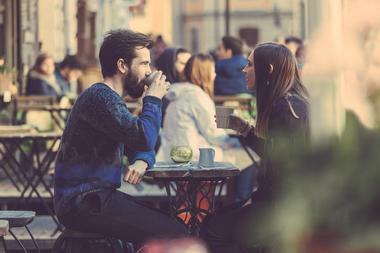 Stockholm offers a wide variety of restaurants and other eateries: there are approximately 1,500 restaurants from which to choose. The city is built on many islands, so there is water everywhere. This means that fish and seafood are popular dishes: amazingly, you can fish in the water between the Houses of Parliament and the Royal Palace and catch a pike to have prepared for you at a local restaurant. Stockholm has many fine dining restaurants and award-winning chefs, but these restaurants can be quite expensive. For visitors on a budget, there are self-service cafeterias. If you are looking for a restaurant with a view, try Fåfångan Café: here you’ll have the best panorama of the city. Stockholm is a great city for shopping: prices can be high, but there are bargains if you take the time to look. There are several major department stores in Stockholm: these include NK, or Nordishka Companiet, Ahiens Department Store, and MOOD Stockholm. In addition to these department stores, there are several areas of the city that are known for their great shopping. Gamla Stan means Old Town: this is where many of the most popular attractions are located like the Royal Palace, but it is also a favorite shopping area. Skansen is known for its handcrafted items. Other shopping areas in Hamngatan, Kungsgatan, and Drottninggatan. Most of Stockholm’s major attractions can be found in the innerstaden, or inner city. This is divided into two areas: the Inner City North and the Inner City South. Within the Inner City North you’ll find the city’s main train station and Drottninggatan, the shopping district on a major pedestrian avenue. Sergels Torg is the city’s public square: it is a large pedestrian plaza easily recognized by its glass and steel obelisk. 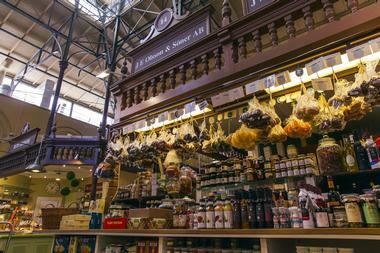 Most of the major tourist attractions are found in the Inner City South area. Here, in Gamla Stan, or Old Town, visitors will find the Swedish Parliament Building, the Royal Palace, and Stortoget Square with its colorful old buildings. Stockholm is a beautiful city with stunning views and excellent wedding venues. 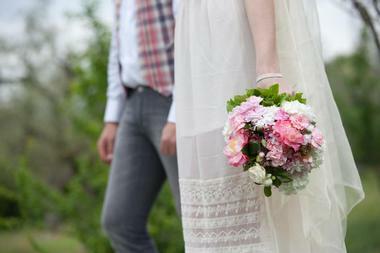 It is possible to get married in Sweden: there are many documents involved in order to do this, so give yourself plenty of time to collect all the necessary documents. There is an exquisite wedding venue located within the City Hall: it is called the Oval Room and this is a popular place for weddings. The Grand Hotel Stockholm is a landmark property in the middle of the city with views of the Royal Palace. The Villa Pauli is a great location close to the water with its own pier where guests can arrive for your wedding. Other wedding venues include Hasselbacken, Stallmastaregarden, and many more. 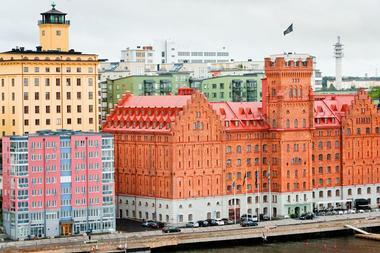 Stockholm is known for many things, and one of these is its high hotel room rates. But there are some ways to get around this. Luxury hotel properties include the Nobis Hotel Stockholm, First Hotel Reisen Stockholm, Hilton Stockholm Slussen Hotel, the Radisson Blu Royal Viking Hotel Stockholm, and many more. Some hotels offer reduced rates so you can check at the tourist center to see what they can offer. However, it’s best to make reservations in advance especially during the busy summer tourist season. There are medium priced hotels north of the center of the city in the area called Normalm; and there are many inexpensive hotels near the Central Station.